Meijer has a few promotions going on that I wanted to check out along with the coupons I have that are about to expire. One of the great deals includes the Scrubbing Bubbles and Windex promotion I mentioned over here. There are a few additional deals that will help you save a lot of money this week when you add in a few coupons with the Meijer promotions. Purchase 10 select items including Campbell’s soup and Speghettio’s get $5 off instantly. Purchase $15 in ANY brand of hair product, except Meijer brand, get $5 off instantly. The limit for the hair promotion is unknown. 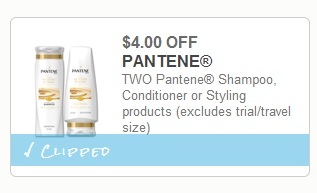 I purchased $45 worth of hair products and earned the $5 off instantly promotion all three times. Most of the coupons mentioned in the scenario below expire on 08/31/14. Some of the coupons that I used expired today (8/24), howeverI provided printable links for those coupons if available. I purchased more hair products in this trip than I normally would in a single week, but with the coupons expiring I wanted to use them up during a great promotion. I purchased different brands and different varieties in each brand. Bananas $1.67 for 3 lbs. Final cost: $32.78 for 54 items! Of course, this isn’t what we will live off of, but these are some of the items we were low on. 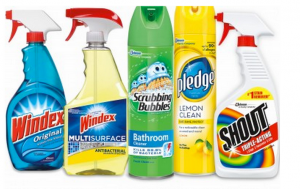 ← Meijer: Scrubbing Bubbles and Windex Products As Low As 10-cents Each!